Welcome to paradise! 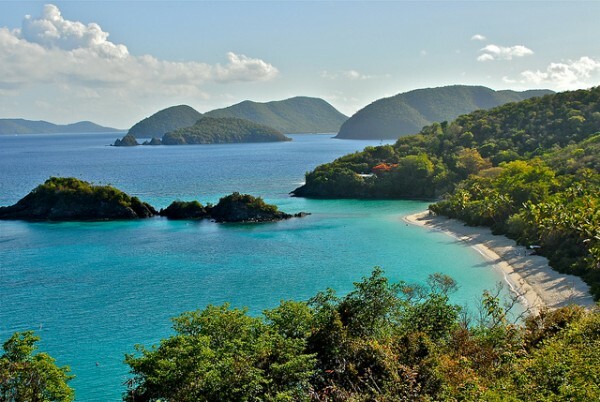 If you’ve never been to the U.S. Virgin Islands, be prepared to be transported to the most tropical place you can imagine: white sand beaches, turquoise water, rum-flavored cocktails, reggae beats coming from the beach-side snack shack… It’s a world away from home, yet you don’t even need a passport to go! 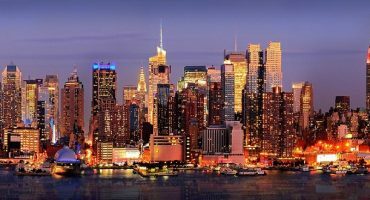 When to go: Mid-December to April. Where to fly: Book flights to St. Thomas as it has the biggest airport in the region, followed by a smaller one on St. Croix. 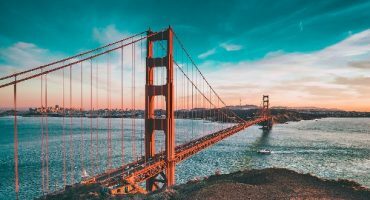 Both have modern airport amenities and are serviced by dozens of airlines including United Airlines, American Airlines and Delta. What to pack: Sunscreen, and your usual creature comforts like razors, shaving cream and insect repellant. Who to go with: The Virgin Islands are a very romantic destination, and a favorite for marriage proposals and especially for weddings! But, these islands are also a great place to go for a girl’s week away or a bro’s vacay. USVI in a nutshell: With year-round 80°F weather, white sand beaches and plenty of rum, the U.S. Virgin Islands are everything “tropical” that you could dream of, but you don’t need a passport to visit. 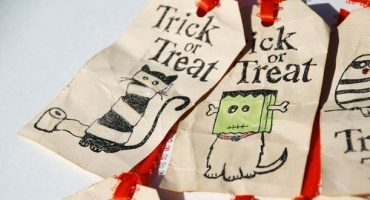 Family-friendly: Yes, especially St. Thomas and especially if you stay in a self-catering resort by a beach. This half-mile stretch of sand on St. Thomas is one of the most popular and picturesque beaches on the island. Two emerald-green peninsulas protect the shore from strong waves, making this a great spot for swimming, kayaking and paddle boarding. This is a fact that’s well known so expect big crowds in high season. This beach is protected by the U.S. National Park Service and is a favorite stop for cruise ships, which means that big crowds come and go as the ships dock and depart. Follow its underwater snorkeling trail to discover another dimension of these islands. 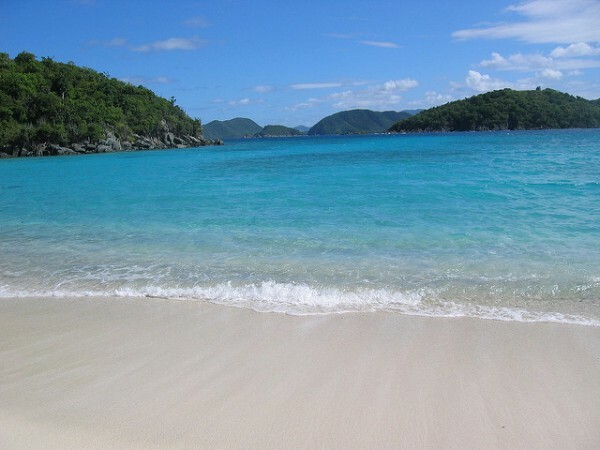 It is voted again and again as one of the best beaches in all of the Caribbean, making it a must-stop on St. John. 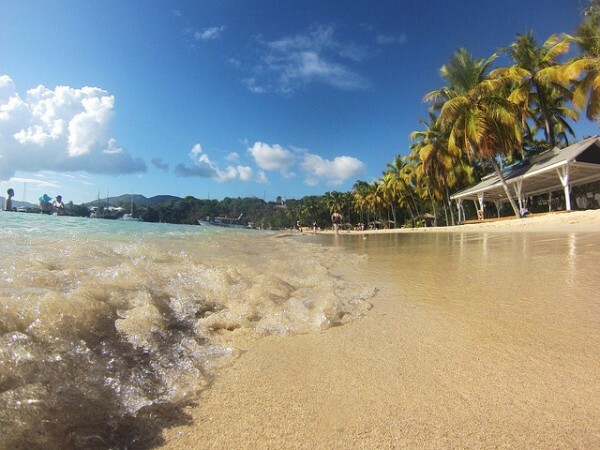 Sandy Point is the biggest beach in the U.S. Virgin Islands. It’s also a popular spot for endangered sea turtles to lay their eggs so the beach is highly protected and is only open to the public on the weekends from 10am until 4pm. It was also the film location for the final scene of The Shawshank Redemption. This mile-long beach is the biggest on St. John and one of the best. The amenities are fantastic: showers, toilets, restaurant, grocery store, taxi stand and campground are all in close proximity to the beach. Plus, there’s an archaeological museum of Taino relics nearby too. Rent a sea kayak, paddle board, sailboat or windsurf board for the day and go explore! 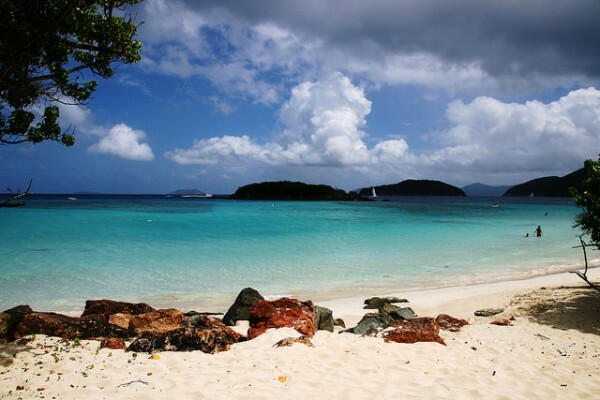 Caneel Bay is a string of seven beaches that stretch from Durloe Point to Hawksnest Caneel. 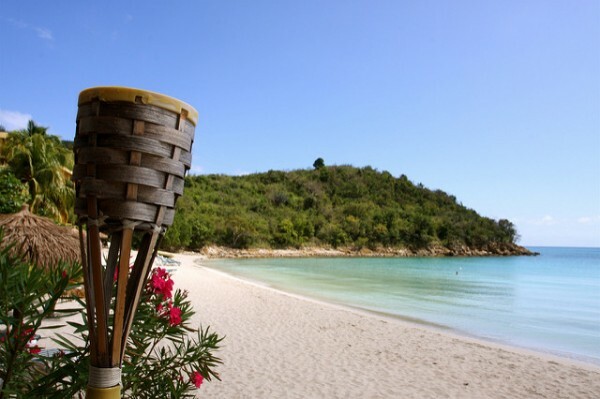 The Caneel Bay Resort admits guests to the beach during the day, so turn up early with your towel, bucket and spade for a day of sandcastle building and lounging by the sea. You’ll find Honeymoon Beach at the end of a mile-long hike along the Lind Point Trail, which starts at the park’s visitor center. The white-sand beach is usually empty, unless a charter boat or two has arrived but they don’t usually stay longer than mid-afternoon. Stock up on snacks from the onsite hut. 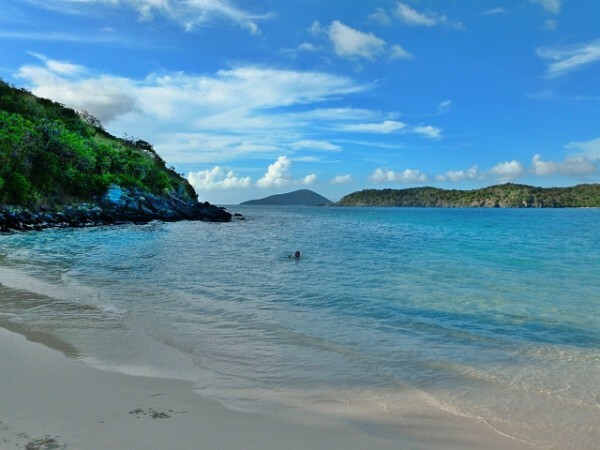 There is hardly a more tranquil spot on the east end of St. Thomas than Secret Harbour Beach. It’s an excellent place for snorkeling; equipment can be rented from the adjacent resort. And don’t worry, this beach is open to the public; you don’t need to be a resort guest to enjoy it! Coki Beach is located on the North East side of St. Thomas, facing out to the Atlantic Ocean and is right next to Coral World Ocean Park. If you’re hoping to explore the underwater world of the U.S. Virgin Islands, then this is the place. It’s known as one of the best places to snorkel on St. Thomas. Rent your equipment from the dive center, and get exploring! 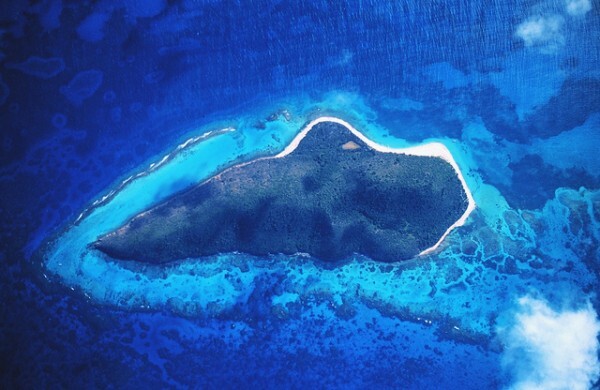 After a sailing tour of Buck Island, you’ll know exactly why this little island and its surrounding reef has been made into a National Park. 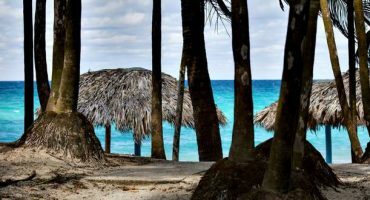 Take a full-day or half-day trip there and don’t miss Turtle Beach on the west end of the island; it has been voted one of the world’s most beautiful beaches by the likes of National Geographic! Snorkeling is top-notch here but as this place is protected by the national park system, capacity is limited so be sure to book your excursion in advance. 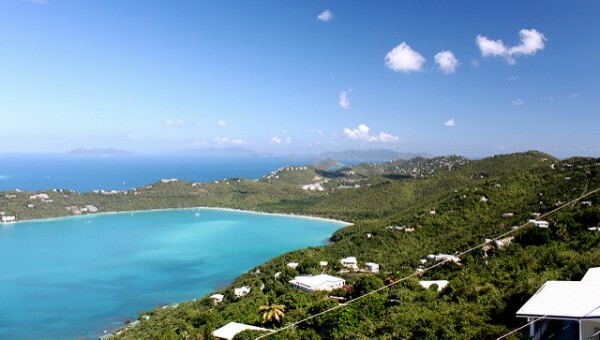 Emerald Beach overlooks the gorgeous Lindbergh Bay, and has been named one of the most beautiful white-sand beaches on the island of St. Thomas. 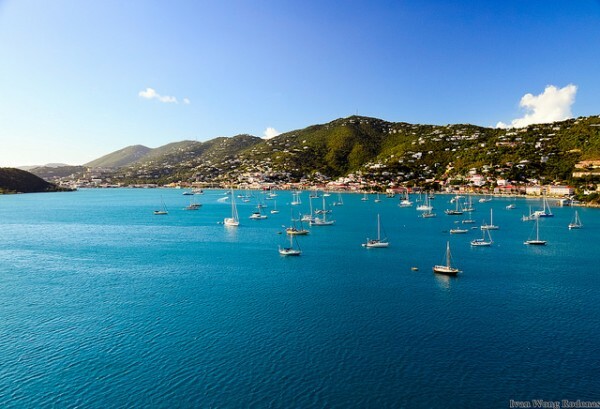 The historic charms of Charlotte Amalie are just a few minutes away, giving the best of island life and island culture in one place. Spend your day at Emerald Beach kayaking around the calm bay or just lounging on the beach. 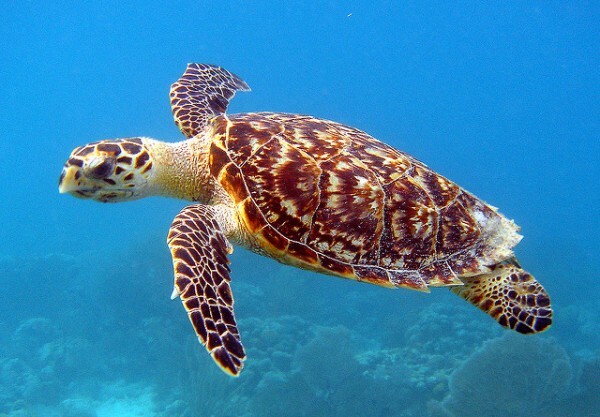 Images: Magens Bay by David Spinks, Trunk Bay by F Mira, Hawksbill Sea Turtle by U.S. Fish and Wildlife Service, St John Cinnamon Bay by Everett Carrico, Caneel Bay by Mike’s Birds, Honeymoon Beach by Dave Herholz, St. Thomas by Ivan Wong Rodenas, Coki Point Beach by Jenn Kahalau Photography, Buck Island by NOAA Photo Library, Emerald Beach by TravelingOtter, Relaxation & Meditation by Jenn Kahalau Photography / Flickr cc.